Sage One helps you grow your business quicker and more easily than ever with our powerful, secure online accounting and payroll software. Now we’ve brought our Accounting, Payroll and Start products out of the office with our iPad app. Review your company from the dashboard. See and edit information on customers and clients. Record notes, create quotes and invoices on the go. Find customers more easily with map links. Get reports on individual customers’ sales history and account balances. Are you ready to explore one of the best accounting apps for iPad? To help our customers stay flexible in a fast-moving world, we’ve developed our Sage One Accounting package into the perfect accounting software for iPad. It’s the same simple, powerful cloud-based accounting tool we offer for desktop, with the mobility and convenience of your favorite tablet device. Set your finances free and balance the books on the move. Just one account syncs across your tablet, PC, Mac or iPhone devices and lets you manage your finances, prepare VAT returns and connect to your bank. It’s the best accounting app for iPad when it comes with empowering small businesses to stay mobile. With this advanced payroll software for iPad you can be sure you’re looking after your employees wherever you are. Process monthly payslips, handle expenses, manage workplace pensions and more using updated, HMRC-compliant technology. For businesses with up to 15 employees, this is the best small business accounting software for iPad you’ll find, combining the power of Sage One Payroll with the flexibility of mobile. Sage One Payroll is also fully compliant with real time information (RTI) right out of the box and reports PAYE information online as it happens. You can find us on GOV.UK’s list of approved software. 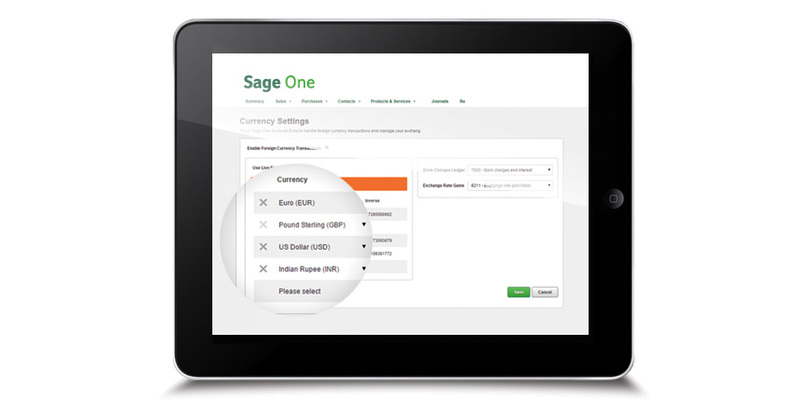 Sage One Start for iPad provides total control over your cash flow no matter where your work takes you. Your business won’t wait, so we’ve taken our simple online cash book to the iPad to help you stay responsive. We know that the iPad, for small businesses, can be a life-saving tool. Our software helps you make the most of that. You don’t need to be a qualified accountant; it’s simple to get started and easy to use. If you need to track money coming in and going out of your business, or just need an easy way to provide information to your accountant, don’t spend another moment chained to the office computer. 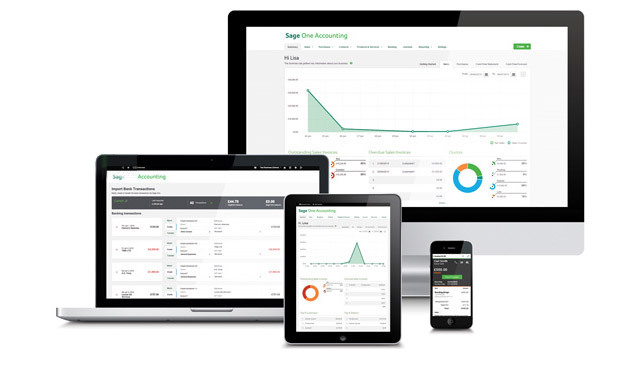 You can access Sage One accounting for the iPad in one of two ways. Download our native iOS app on Apple App Store, install Sage on your iPad and have instant access to this powerful suite of accounting and payroll software for small businesses. Alternatively, you can log in via your iPad’s Safari browser and use all the same features you’ve enjoyed on your desktop wherever you are. Use the same account, synchronised across all your devices with your data stored securely in the cloud. Jo Lennon, Mellie Green Organic Babywear. 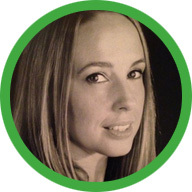 “I access Sage One from my desktop and my Macbook, but it means, if I’m staying at a friends’ house, I can use their desktop or iPad and get online and access it. It’s really versatile.” Jules Quinn, The *TeaShed. “[What I love best about Sage One] is the security of a hosted system, behind not only my Mac password but a second password logging onto the site, as well as the usability and allowing me to access from all over the world.” Dan Williams, Tailor & Baker. Smith & Son Plumbers could be any small business across the UK. Making the jump from traditional business methods to digital has come in small steps over the years. Keeping up to speed with new legislations has left little time to truly innovate and take a fresh look at how the business handles its finances. Using Sage One on the iPad has opened up new avenues for how the company handles and tracks its finances. Then: Accounting meant extra (unpaid) hours spent in the office after work, finding time to get to grips with the monthly accounts. Now: Accounts can be tackled in manageable chunks throughout the week, between jobs or whenever a spare moment presents itself. Then: Invoices, purchase orders and expenses forms were always somewhere else. In the office, filed away somewhere, never there when you need them. Now: All important financial information is stored online and can be accessed immediately, as and when it’s required. Then: Every time new legislation was rolled out meant trawling through every form, contract and document to make sure it was fully compliant. Every single time. Now: All Sage One accounting software is automatically updated to be fully compliant with new HMRC regulations without businesses needing to do a thing. 1. Are there any restrictions on downloading and using Sage One in iPad? If your Apple iPad has a valid Apple App Store account and internet access, you’re all set. 2. Is there a version of Sage One for the iPhone? Absolutely. You can download our iPhone app here. This version lets you send invoices, track your expenses and create contacts on the move. It’s also fully integrated and synchronises with Sage One on the iPad. 3. Do I need a separate account to use Sage One on an iPad? Not at all. Just use the same account as you use for the desktop version, which will synch across all compatible devices.